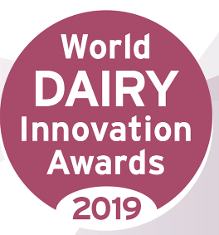 The World Dairy Innovation Awards are designed to celebrate excellence and innovation across every category of the global dairy industry. The longest and most established awards scheme in the industry, these awards are a fantastic way for you to enhance the promotion of your brand. By entering the World Dairy Innovation Awards, you can ensure your brand and products are recognized on a global scale by the leaders in the industry. Being successfully shortlisted provides a hallmark of success that will prevail all year long. This trusted brand recognition highlights the contribution your company’s products and team are making to the industry. What’s stopping you? Enter today and win that award! The winners will be announced at a special awards ceremony at the 13th Global Dairy Congress on June 26, 2019, in Lisbon, Portugal. To learn more about the judges and what they are looking for innovation, link HERE. 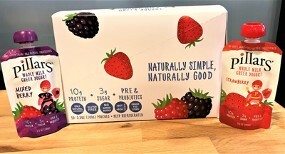 Welcome to the home page for the Daily Dose of Dairy™, brought to you by www.BerryOnDairy.com. Here you will find details about new dairy foods entering the U.S. marketplace, with frequent peeks at international innovations. You will also find links to recent blogs and articles authored by www.BerryonDairy.com Founder Donna Berry. To start receiving the Daily Dose of Dairy™, SUBSCRIBE HERE. 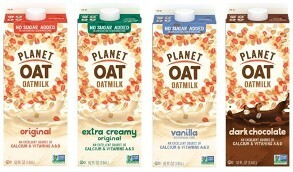 Read about Yogurt Innovation in cups, pouches and bottles HERE. 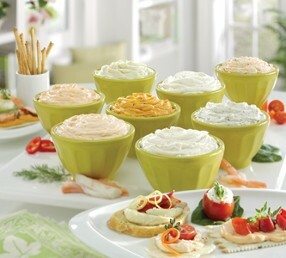 Little Extras Add Flavor, Color and Fun to all types of dairy foods. Inclusions are an easy way to offer limited-edition and seasonal products. Read more about using a co-packer and how to select one that best fits your needs by linking HERE. For a directory of co-packers, link HERE . 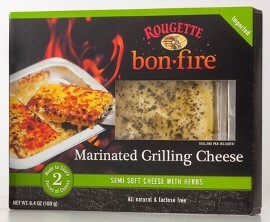 Read about Rougette Grilling Cheese and other new cheeses, including refrigerated and shelf-stable snacks by linking HERE. 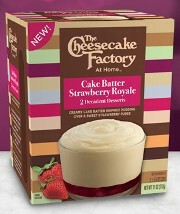 The Cheesecake Factory at Home now offers premium layered refrigerated dairy desserts. Read about them and other sweet treats HERE. Milk processors are in the Beverage Business. Many offer non-dairy "milks" as well as dairy-based beverages that function as energizing drinks, sports beverages and meal replacements. Explore some recent rollouts HERE. 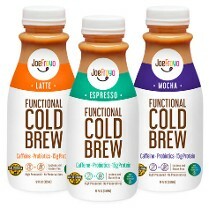 Premium Flavored Milk including Cold-Brew Coffee Milk are the hottest trend in beverages. Read more about these products HERE. 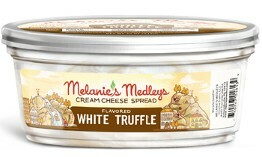 Global- and Culinary-Inspired Artisan Dairy Spreads and Dips are trending. Check out recent rollouts HERE. 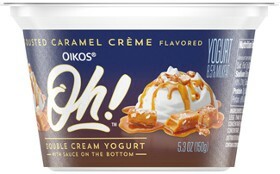 Check out the latest and greatest in the Frozen Desserts aisle by linking HERE. 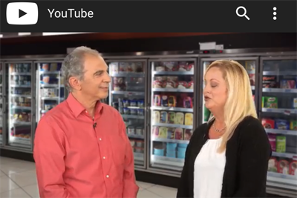 Link HERE to the “Shopping with Michael (and Donna)” Video on Ice Cream Trends, which was produced by the Private Label Manufacturers Association in September 2018. 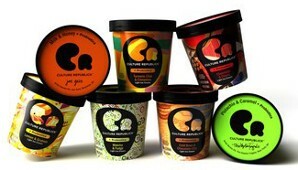 Trends in Frozen Desserts, sponsored by National Flavors, link HERE. 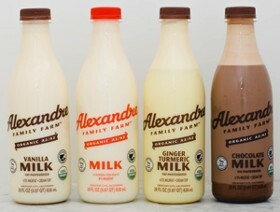 Trends in Milk and Dairy-Based Beverages, link HERE. Trends in Yogurt and Cultured Dairy Foods, sponsored by Delkor Systems, link HERE. Fat is Back. 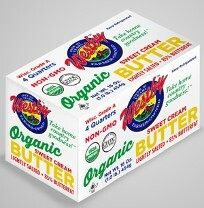 Check out new Butter innovations HERE. Link on topic for indepth insight. What is the Daily Dose of Dairy™? It is a single dairy industry-related innovation delivered to your inbox. The email will contain one innovation that might be the missing link in a current project or one that might be the spark of a future success. Each Daily Dose is archived in a searchable database. The Daily Dose of Dairy™ features the knowledge of dairy industry authority Donna Berry, a food scientist, editor and consultant.